Isnt this cute? All inspired by a youtube channel named PapertreyInk. 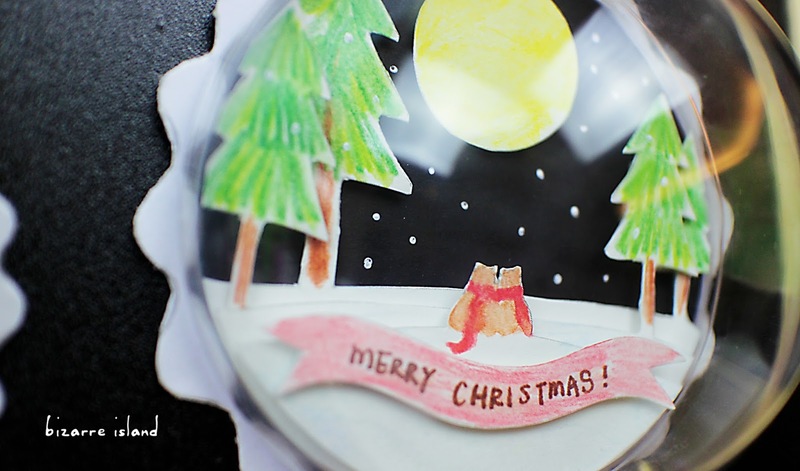 They used a set of die-cuts with a big shot machine to achieve those cute little ornaments, great as gifts. We made a template for 2 different designs and you can totally add your personal touch to it. 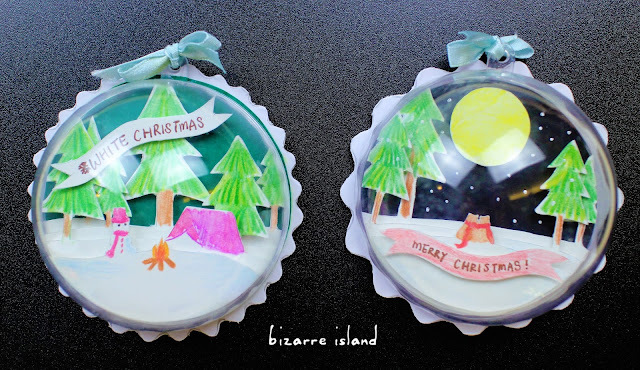 Not everyone has a die-cut machine but these ornaments can be hanged anywhere... Literally anywhere... From book bags, as a key chain, to curtains , as a holdback... and of course the most obvious one is on a Tree. These are cute tiny scenes trapped in a snowglobe like ornament. 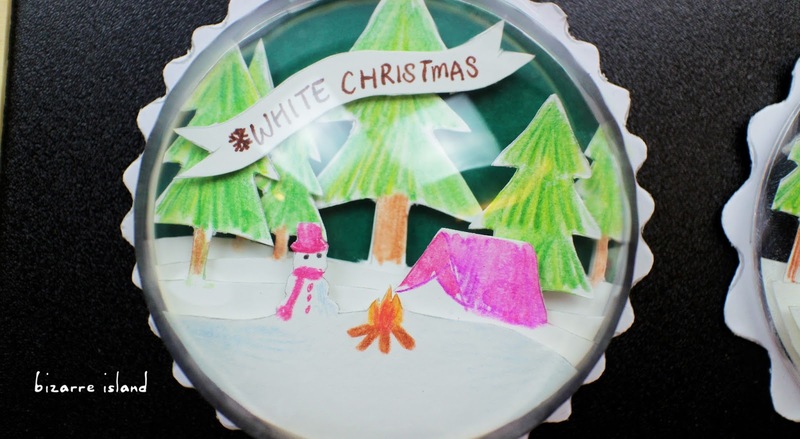 Go wild and add some glitter or confetti to "make it snow". Colour the cut templates with water colour pencils to your liking and brush it with some water to make the colours blend nicely.